Overview Street Name Signs The Guide signs area contains all local destination signs such as; G500, G501, G502, G505 and many more. 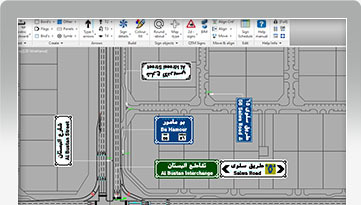 The street name signs use the Arabic keyboard to easily add destinations and any additionally allowable blocks such as the Ring Road symbol are also offered as an option where design rules allow. Design time is reduced to a few seconds making it very easy to add many signs to a drawing. The Guide signs area contains all local destination signs such as; G500, G501, G502, G505 and many more. 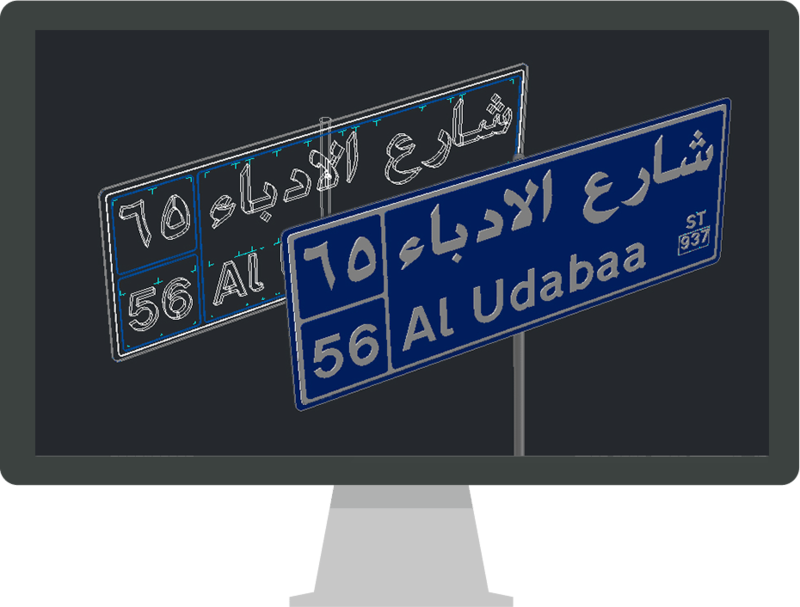 The street name signs use the Arabic keyboard to easily add destinations and any additionally allowable blocks such as the Ring Road symbol are also offered as an option where design rules allow. Design time is reduced to a few seconds making it very easy to add many signs to a drawing. 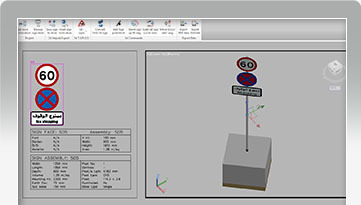 Overview 3D Traffic Sign Design 2D Signs can be turned into Full 3D models using a simple one button press technology. The 3D signs can then be used in Drive through visualisations, 3D Studio Max, Infraworks and are exportable for clash checking in Navisworks, and because no object enablers are needed the signs can be shared by anyone for BIM collaboration. All 3D signs are turned into a 3D block that can be viewed by any .dwg compatible software. 2D Signs can be turned into Full 3D models using a simple one button press technology. The 3D signs can then be used in Drive through visualisations, 3D Studio Max, Infraworks and are exportable for clash checking in Navisworks, and because no object enablers are needed the signs can be shared by anyone for BIM collaboration. All 3D signs are turned into a 3D block that can be viewed by any .dwg compatible software.